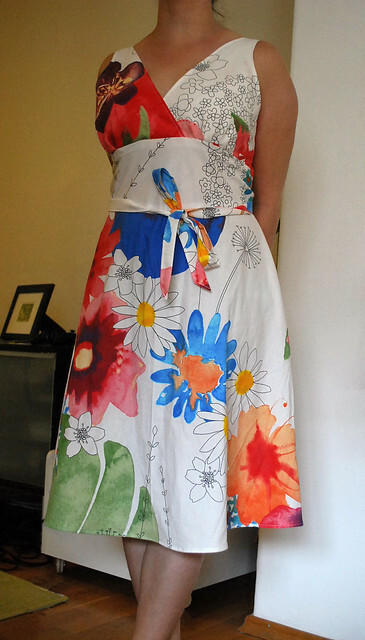 September 22, 2011 Adri H.
Finished this summer dress... in time for fall! It's too cold these days to wear it outside, but I'll hopefully get a chance if the weather decides to be unseasonably warm. You never know! I used a lapped zipper for the back, but it still needed a hook and eye closure which I added after the photo was taken.